We love ladies. We love telling you stories about ladies who you may or may not have already heard of. Come meet some badass women of the Northwest. Petite Alaskan Native woman Ada Blackjack had already escaped an abusive marriage and survived the loss of two of her children when she agreed to go sew and cook on Wrangell Island for a year with a small expedition of polar explorers determined to claim the land for Canada. Weather and organizational incompetence stranded the team alone in the “friendly Arctic” for a full year past when Ada was supposed to leave. At the beginning of their time on the island, Ada so overwhelmed by the strange surroundings and strange men that she succumbed to “arctic madness,” convinced she needed to marry one of them and that another was going to kill her. By the time the boat finally arrived to rescue them two years later, Ada was the only one left alive - and had found a strength that few of us will ever understand. Hear the story in Ouija Broads #93, The Friendly Arctic. 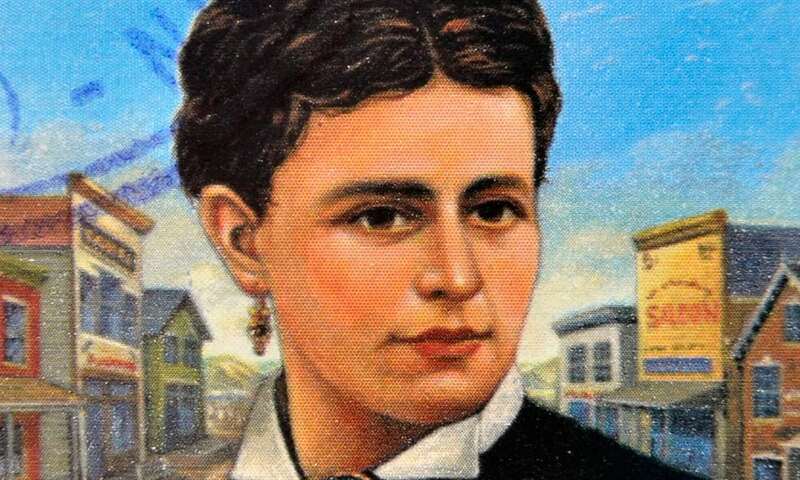 Irish immigrant Nellie Cashman wasn’t big, and she didn’t carry a gun. She didn’t play poker or shoot whiskey. But somehow, this demure damsel was better at mining for gold, facing down an angry mob, and mounting rescue expeditions than any ten cowboys you’ve heard of. Plus, she did most of it with five kids in tow. Find out the tale of the Balto of Ladies in Ouija Broads #95, Whoa Nellie. She smoked cigars, wore pants, carried a shotgun, and could harness a team of mules faster than any man in town. She was the first black woman to work for the US Post Office, and broke more noses than anyone else in the Montana Territory. She loved baseball, kids, flowers, and her best friend was a nun. There has never been anyone quite like Stagecoach Mary Fields, and frankly I’m not sure we’d survive it if there was. Wonder at her glory in Ouija Broads #41, Stagecoach Mary Fields. In 1860s Seattle, you were about as likely to see a Bigfoot as you were to see an eligible unmarried woman. To address ye olde sausage fest problem, young Asa Mercer (who you might know as the first president of the University of Washington) went back east to recruit “schoolteachers.” His project faced funding crises, skepticism, mockery, and a gun blockade, but in the end he managed to recruit nearly fifty women to join him in the Emerald City. And despite some false starts (and people getting stabbed with sewing needles for getting fresh), all but one of the girls married and settled in Seattle. The contributions they made, and their many descendants, are everywhere in Seattle to this day. Learn about them in Ouija Broads #65, Mercer’s Belles. Envision a beautiful woman with flaming red hair, riding a pure white horse with mane and tail dyed the same color. That was Jean Keene in her days as a rodeo trick rider, until a “death drag” gone wrong ended her career. After exploring various careers, she found her way to Alaska, a place she thought was the prettiest she’d ever seen. Her job at a seafood processing facility inspired her to bring chunks of fish for the eagles she saw from her home on the Homer Spit. Fast forward several decades and Jean was feeding hundreds of pounds of fish (and roadkill moose) to hundreds of eagles every winter. Although her self-appointed role as Eagle Lady drew some controversy, her eagles drew tourists and photographers to her tiny town (which eventually passed a law that only Jean was allowed to feed the eagles). From her arrival in Alaska in 1977 to her death in 2009, she only missed three days of eagle feeding, when she had to arrange a substitute as she recovered from cancer surgery. Hear her story in Ouija Broads #89, The Toughest Bird. Older Post"I Prefer Lemons." Was the mysterious cell-phone harassment of several people in Fircrest, WA a terrifying hack, or a teenage hoax?